Home >>Random >>Tesla Model 3: Is This The End? Tesla Model 3: Is This The End? There have been purely electric cars long before the Tesla Model 3. But Tesla has made it cool. Sort of like how Apple made the iPhone cool, Tesla made not just gas-free, environment-saving cars. It made cool high-performance vehicles that are fun to drive. And nobody really cares that Chevy Volt has already been available for years for a comparable price. Couple of days since its unveil, the new Model 3 has already outsold the Volt. Not a small feat, considering, they are only going to start delivering in about a year! But Tesla, like Apple, like Amazon is in many ways a disruptive technology. This technology will eventually leave some people without jobs. And I am not only talking about all those dealerships, car mechanics and alike - all those people who are directly being affected right now because the business model of Tesla does not permit independently-owned dealerships, nor third-party mechanics. Just like Apple that will not allow any other apps to run on their iPhones, other than the ones bought in their iTunes store. I am also talking about the huge industry of gas or diesel engine and transmission producers. See. I work for a company, that specializes in just a small (but important, like everything else) business of power transmission within the engine. All those timing sprockets, pulleys, automatic AC clutches, vibration-silencers and a bunch of other stuff that rotates. It is a 2 billion business for the company. I work in a prototyping department. And I can see the writing on the wall. Once car manufacturers realize that the future has come, they will stop investing money into developing the old engine technologies. For the time being, while transitioning to all-electric cars, they will still produce the engines, but nobody will spend a dime on all those obround-shaped sprockets (for example) company I work for specializes in. And then eventually they will not need even that any more! Would I buy a Tesla, thus by a tiny bit nearing the end of my job in engine manufacturing? Once a new technology sweeps in. All those who were reliant on the previous one will have to adapt or die off. Just people who used to operate elevators- new technology will force lots of people to go their way. But it really helps to see where its heading, so we don't get ran over by it! Me? I don't see my current position within the current company existing any more in about 5 to 10 years. Good post Eldar, this is why I waited almost 3hrs to put a deposit down for the Model 3, you can't stop evolution. But, the main reason I did it, is that I'm sick of the games that OPEC and the oil companies are playing with the whole world. I do really hope, though they come up with a cheap and environmentally-frindly batteries. The way it is done now probably produces as much waste as running a gas car for the live of the vehicle. 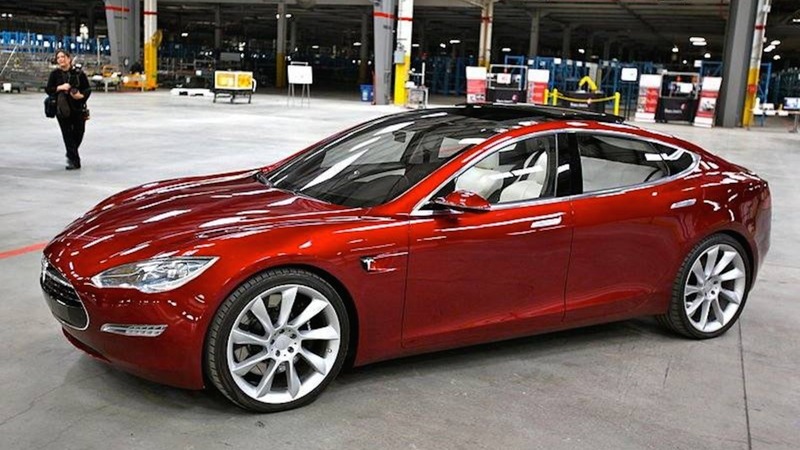 New Comment to: Tesla Model 3: Is This The End?